Fill Your Yoga Classes and Make Your Classes Distinctive & Inspirational with One-on-One Support! Are you a new or experienced teacher wanting to take your classes to the next level? Do you crave knowing how to create classes that stand out and bring students back time and time again? * How DO you get students to choose your class in a sea of yoga teachers, fill your classes, and keep your offerings fresh and innovative? * How DO you draw your students back time and time again, even if you’re teaching a similar style of class as other teachers in the area? * How do you land teaching gigs, create interesting classes, and continue to learn, stay inspired and excited, and grow your teaching? * How do you make your class memorable and impactful upon your students so they’re recommending it and bringing friends? *How do you create powerful workshops and offerings beyond your weekly classes so you can leverage and increase your income? * How do you write descriptions for your classes, retreats, and workshops that are authentic to you and in your own voice so that your offerings are fresh and exciting, but not the same old thing other teachers are doing by the tenfold? 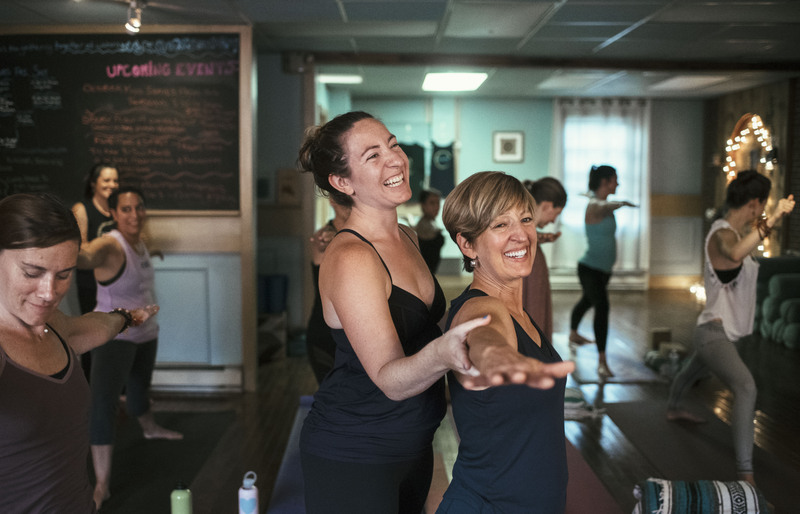 You’ve been through a transformational training that gave you some powerful foundations — but there is so much more to running a thriving yoga practice than knowing how to cue and get students from point A to point B. There are huge pieces of the running of a business and the developing your skills as a teacher that you just didn’t have time to learn in a 200 hour teacher training. With customized mentorship and support from an experienced yoga teacher (that’s me! ), you’ll learn how to create unique, attention-grabbing classes, stand out in a sea of other teachers and practitioners, and expand your offerings in a way that is aligned and profitable. Perfect for you if: You have been teaching less than two years, feel like you have the basics down, but aren’t sure how to continue your self study. You know how to teach a class, but you feel like you’re missing that extra something special that will make a student clear their schedule to make sure they can attend your class. You want to feel confident in how to put together meaningful classes time and time again, without spending hours of time each week doing so. Step One: We will meet to discuss your teaching goals and where you see your opportunities lie. Together, we will set specific, measurable goals for your teaching path. You’ll walk away with a clear road map on how to elevate your teaching, and what the next three months will look like. Step two:I’ll attend one of your classes (or you will video tape one of your classes if attending live is not possible) and offer specific feedback around your teaching. You’ll walk away feeling clear on where your opportunities are and what you’re great at! Step Three: I will assign homework exercises and readings specific to you to help you hone your teaching voice, connect to your own creativity and your own intuition around what you see your teaching niche as. Step Four: We will meet twice over the course of the three months in person or via skype to discuss progress, questions, and any blocks that come up. Step Five: Together we’ll create goals for your teaching and career for the next six months. Perfect for you if: You’ve been teaching weekly classes and are feeling confident in your teaching, and now you’re ready to expand your offerings and not sure how. Step two: I’ll attend one of your classes (or you will video tape one of your classes if attending live is not possible) to get a sense of your teaching style and area of expertise. I will offer feedback and thoughts based on the class; we can’t always hear our own words,so it’s great to have an outsider listening in to offer wisdom! Step Three: You’ll set 2-3 big hairy audacious goals for yourself over the course of the year. Special projects, retreats, trainings, or workshops to name a few ideas. Step Four: We’ll work out an action plan to develop these new offerings, including goal setting and self study. To ensure maximum attention to each student, only three mentorship students will be accepted at one time. 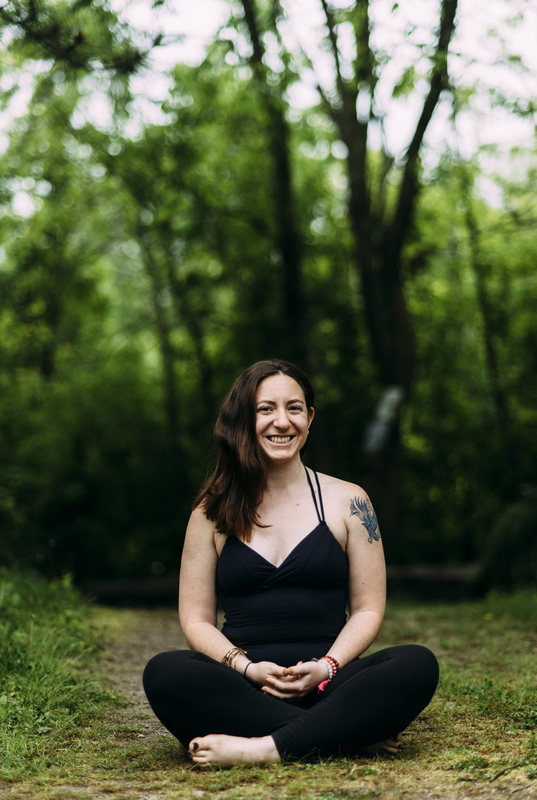 Sarah Spiegel Dunn has had a long time love of building and supporting community and enjoys creating connection and transformation for individuals and groups through classes, workshops, transformational retreats, and trainings. In 2016, she quit her 9-5 job to open Samudra Studio, which she has grown into a thriving community since then. Sarah particularly loves the process of guiding students on an inner journey and into deep states of relaxation. Sarah completed her 200 and 500 teacher training with Fluid Yoga and Kevan Gale and Betty Riaz. She is a certified SPA Yoga teacher and assists SPA Yoga founder Betty Riaz with trainings both regionally and internationally. She has also studied and holds certifications in Restorative Yoga with Judith Hanson Lassiter, Thai Yoga Massage, and Yin Yoga and Meditation. Click the button below to arrange a no-obligation chat with me about working together. You’ll be prompted to fill out a couple of quick questions so I can learn more about you and your teaching. During this no-obligation chat, we’ll discuss if working together is right for you, what track makes sense for you, and come up with a few goals. From there, we’ll move forward by setting up our first call and getting your client agreement signed so we can get started.